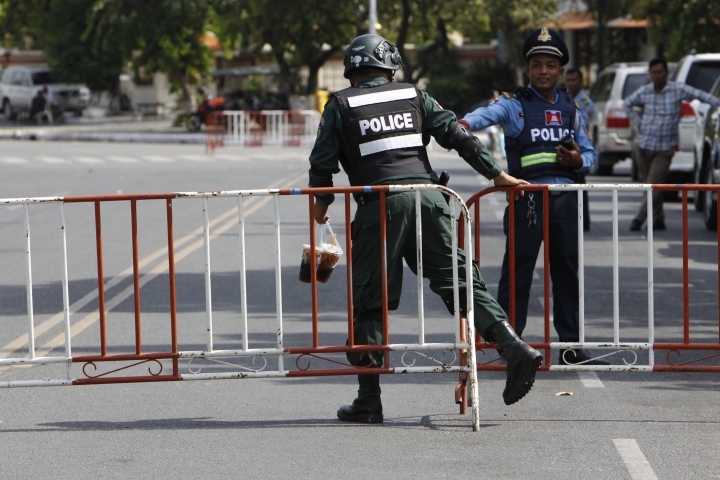 PHNOM PENH, Cambodia — Cambodia's Supreme Court denied a bail request Wednesday for Kem Sokha, the leader of the now-dissolved main opposition party who has been detained for nearly a year without trial on a treason charge. As with his previous bail hearings, he was not taken to court for what has previously been explained as security reasons. The ruling followed an apparent softening of the government's harsh stance toward critics. 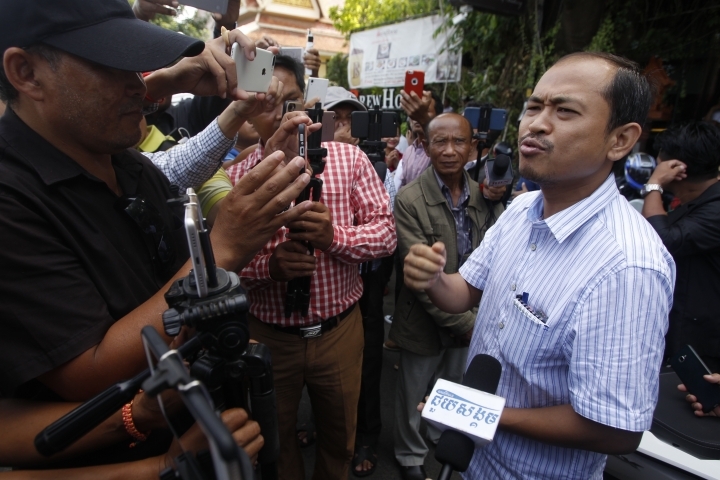 Four land rights activists were pardoned and released from prison on Monday, and two journalists who formerly worked for U.S.-funded Radio Free Asia were released Tuesday on bail as they await trial on espionage charges. The opposition Cambodia National Rescue Party was dissolved by the court last year, with no convincing evidence, for alleged complicity in a treason plot supposedly backed by the United States. Prime Minister Hun Sen cracked down on critics and opponents last year in what was seen as an effort to ensure his party would win elections this year and give him another five years in power. He has led the country for more than three decades and has said he intends to remain at the helm for at least 10 more years. Hun Sen's Cambodian People's Party, with no credible opposition, won a clean sweep in last month's general election. The first leader and co-founder of the Cambodia National Rescue Party, Sam Rainsy, has been in self-imposed exile since 2016 to avoid serving a prison term for a defamation conviction. Kem Sokha succeeded him and was put under severe legal pressure in several cases last year, culminating in his arrest last September. The Supreme Court, sustaining a ruling by the Appeals Court, said Kem Sokha, 65, had to remain in custody to ensure social stability. Kem Sokha's lawyers said he should be freed on bail because the investigation of his case is complete and he was sick and needed medical treatment. Judge Kong Srim responded that he was not particularly sick and could be treated by prison doctors if necessary. More than 100 of Kem Sokha's supporters gathered outside the court building, partly in the hope that he might appear and be released. Security was tight, with several dozen riot police on hand and the road around the court closed, but there were no incidents.